Merseyside Movers & Storers have been successfully moving families and business’s all over the UK and Europe for the past 16 years. Whether it is a small one bedroom apartment from one town to the next or a large family home to another country, Merseyside Movers & Storers are well equipped with ample experience to make sure your move is carried out as smooth and as stress free as possible. It is important that careful consideration is given to the choice of removal contractor entrusted to undertake the important job of safely removing your household or business contents. Move Assured | Really Moving | Compare My Move. 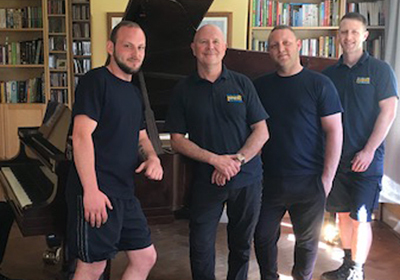 We also encourage direct feedback from our customers which means you can rest assured that in choosing Merseyside Movers & Storers to do your move you are choosing a trustworthy company who take pride in our good reputation. A large percentage of our business comes from recommendations and customers we have moved in the past. Take a look at our testimonials page to see the fantastic feedback we receive on a regular basis which gives our customers peace of mind and confidence in knowing they are choosing the right company to move there valuable possessions. First class service from the 1st phone call until the last piece of furniture was placed into our new home. John from Merseyside Movers kept us informed of exactly what was going to happen with our possessions and everything went perfectly to plan. Good reasonable price great service would highly recommend this company. John and co previously moved us from Switzerland back to the UK a year prior to this move and as a result of the service provided we did not really consider using another company. Although we did get a couple of quotes to make sure the price was right. Liverpool to Leicester house move: "David and I would like to thank you for the smooth removal you and your team did…"
Warrington to Liverpool removal: "I just wanted to say thank you very much…"
Removals in Ormskirk: "I just want to pass on our thanks and praise to Paul and Junior who completed our home move…"
Liverpool to Devon removal: "I would like to express my gratitude for your moving us…"
Liverpool Apartment to House removal: "I am unable to praise your staff enough from their efficiency to their politeness…"
London to Liverpool removal: "Top notch service and great value for money…"